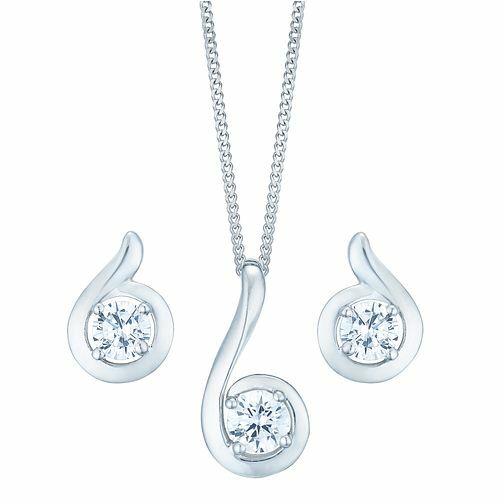 A simply elegant earrings and pendant set crafted from polished 9ct white gold with sparkling embellishment. A fine chain is set with a simple swirl pendant, gently embracing a glittering cubic zirconia centrepiece. Complete with matching stud earrings.